We would love to hear from you! . 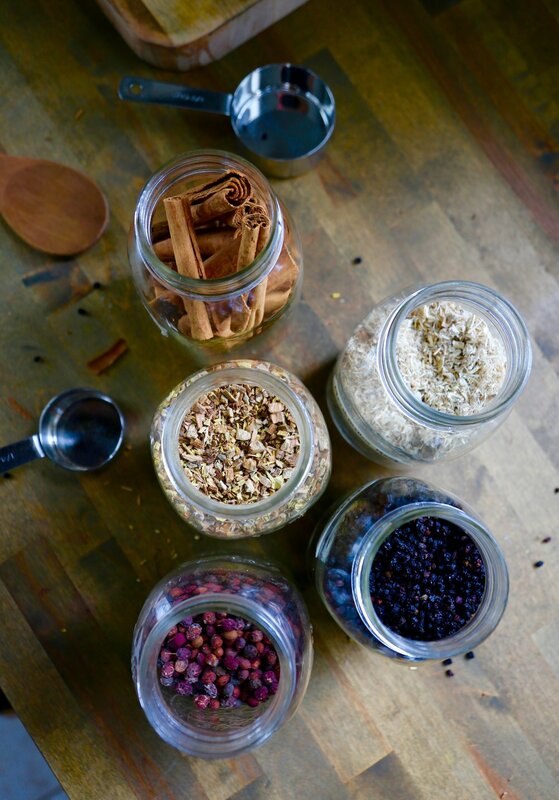 When cold and flu season hit, there are many ways and many different herbs we can use to strengthen our immune systems and defend ourselves from infections and viruses. 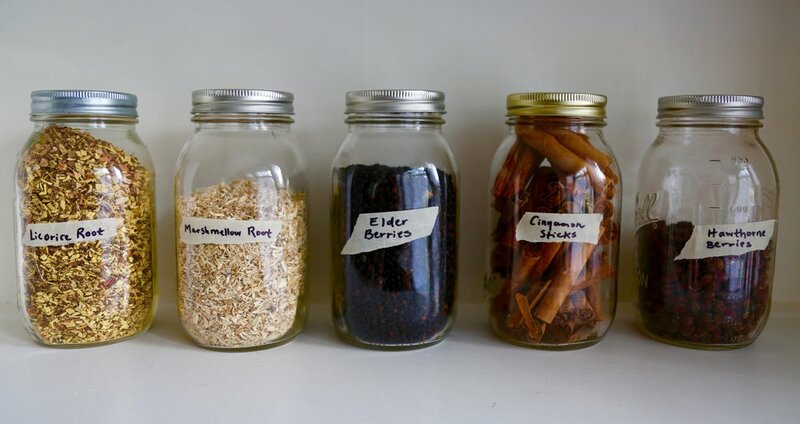 A favorite herb among herbalists for its immune boosting abilities and sweet flavor, is elderberry. Elderberries are widely used as a protective and healing remedy against colds, flu, and respiratory illnesses. They are naturally sweet, and paired with these other immune enhancing herbs, these elder berry gummies are a delicious way to get your daily dose of herbal medicine to keep your immune system functioning at its best. Cinnamon- cinnamon not only adds a great taste to these gummies, it is highly antimicrobial, high in antioxidants, and helps fight against infections and viruses. Licorice Root- licorice root is a well known remedy for sore throats, and is also immune boosting and anti-inflammatory. It also has a naturally sweet flavor. Marshmallow Root- marshmallow root is beneficial in treating colds and coughs, fighting bacterial infections, and reduces inflammation. Hawthorne Berries- hawthorne berries are packed with antioxidants and vitamin C, making them great for preventing colds and flu. They also improve circulation and support a healthy heart. *You will also need silicon molds or a glass baking pan to make your gummies. Combine water, herbs, and apple juice in a medium sized pot and cover. Bring to a simmer and turn heat to low. Simmer with cover on for 20 minutes or until the liquid is halved. Strain herbs from liquid. Be sure to press out all liquid from strainer using a spoon in order to extract all the remaining liquid from the herb matter. Place 1/2 cup of syrup in the fridge until it is cold. Once it is cold, sprinkle the gelatin over the syrup and let sit for one minute. Bring the rest of the syrup to a simmer, then pour the hot juice over the cooled syrup and gelatin, stirring continuously. Continue to stir for about 2 minutes or until the gelatin is completely dissolved. Slowly add your honey, tasting as you go. Add until it is sweet enough for your taste. 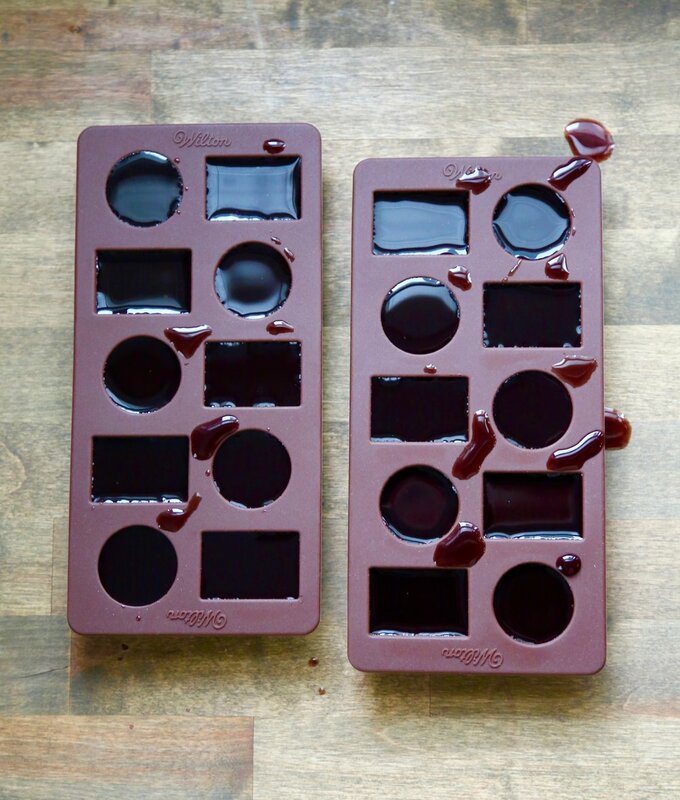 Use a small amount of coconut oil to grease small silicone molds or baking pan for your gummies. Then, pour the liquid into your silicon molds (or a glass baking pan) and place them in the fridge to set, until they become firm like jello. Remove them from the molds and store them in the fridge in an airtight container. If you used a baking pan, cut the gummies into small squares and remove from pan. The gummies should last several weeks in the fridge. I recommend eating 1-3 small gummies a day. I hope your family enjoys these as much as mine has! Enjoy!